When Ford arrived in the UK in 1929, they opened a huge factory in Dagenham and offered well-paid jobs to 30,000 workers. Taking two years to build, the Dagenham factory was the biggest in Europe. Although there had been industrial action at Dagenham in the past, only men had ever been on strike. On 7 June, 1968, that changed. 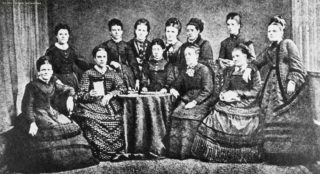 After a pay regrade that saw sewing machinists classed as “unskilled labour”, 187 of those machinists – all women – decided to walk out. Their claim? That they’d been unfairly graded as a ‘B’, when men doing a similar job elsewhere in the factory were given a higher grade of ‘C’ – skilled labour. The strike brought the factory to its knees – after all, you can’t sell cars without seat covers, and no one else knew how to make them. Barbara Castle, the country’s employment minister at the time, was brought in to help negotiate a settlement. After four weeks on strike, the machinists voted to return to work following an offer of 92% of a male ‘B’ grade rate. The women were only regraded into category ‘C’ following a further six-week strike in 1984. If you feel like you recognise this, you’ve probably seen the film Made in Dagenham. But the end of the strike wasn’t the end of the story. Inspired by the Ford machinists, women trade unionists founded the National Joint Action Campaign Committee for Women’s Equal Rights. In May 1969, this group organised an Equal Pay demonstration in Trafalgar Square, attended by 1,000 protestors. This – together with the outcome of the sewing machinists’ strike – led directly to the Equal Pay Act of 1970. For the first time, employers had to treat men and women who were doing the same job equally in their pay and conditions. This was a big win. But it didn’t mean that what had happened to the women workers at Ford Dagenham could never happen again. They wanted equal pay with men not just for the same job, but for work of equal value. Just like the men, they were skilled workers – and should be on the same grade. That’s what their strike had been about in the first place. Dora Challingsworth was a shop steward for the National Union of Vehicle Builders during the 1970s at Ford Dagenham and a key figure in the battle for women’s rights. She was pleased with the outcome of the 1968 strike, but she knew that the fight for equal pay for work of equal value must continue. And it was a long fight: “It was 1984 before we finally got recognition that ours was a skilled job.” That’s right: the Ford Dagenham women got equal pay and the same grade as the male workers 16 years later.